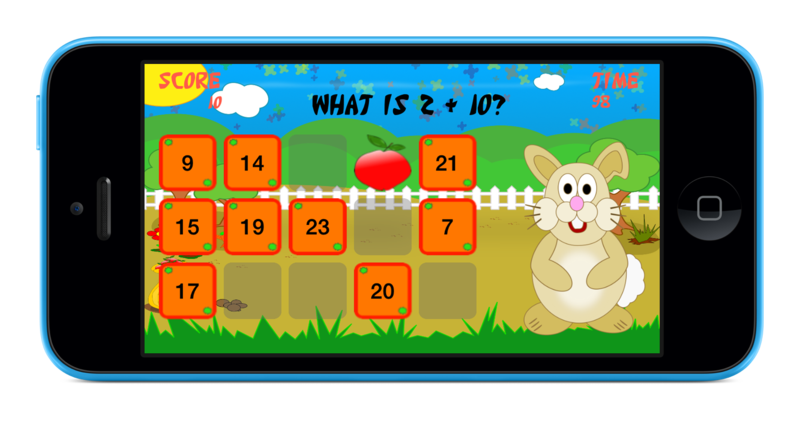 Heston the rabbit loves apples almost as much as he loves counting and kids will love helping the hungry bunny to collect his lunch. Bingo With Heston is available for iPhone, iPad and iPod touch. Bingo With Heston is a great way to help young children develop their adding and subtracting skills and the game provides three difficulty levels. A fun math teaching aid downloaded for use in school classrooms. Children help Heston to collect apples when they answer his math questions. Bingo With Heston has been completely rewritten. Brand new graphics and animations. Three skill levels for addition and subtraction. Heston now audible asks questions and speaks the answers.